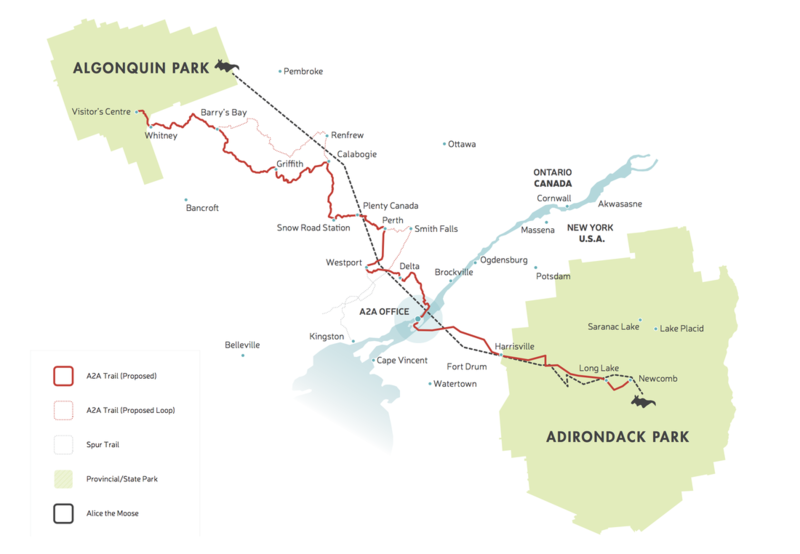 ​​The A2A Trail - A Pilgrimage for Nature - will link Algonquin Park to the Adirondacks, creating a physical and symbolic connection between lands and people in support of the A2A’s broader regional goals. The trail has been identified as a priority initiative for A2A. Starting with the inspirational journey of Alice the Moose, whose route between the two great parks was tracked by a team of researchers, A2A began to imagine the possible ways the trip could be made by human travellers. Beyond raising awareness of this vitally connected ecological corridor, the trail also provides extensive new infrastructure for outdoor recreation and opportunities for economic development. The route links many existing trails, and exposes travellers to Eastern Ontario and upstate New York’s rich natural and cultural heritage and rural communities. Where existing trail infrastructure is not available, A2A will temporarily use backroads, crown land, and potentially private property until resources allow for new trail to be created. Cycling routes will be available and paddling versions have been discussed. A2A is nurturing strong partnerships with groups and organizations that represent the diverse concerns of the region and who will help plan, manage, and promote the trail. 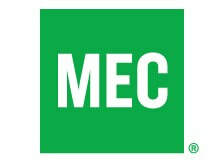 This includes Indigenous partners, municipalities, trail associations, and conservation authorities. The trail is inherently a long-term project, intended to exist in perpetuity and develop over time. 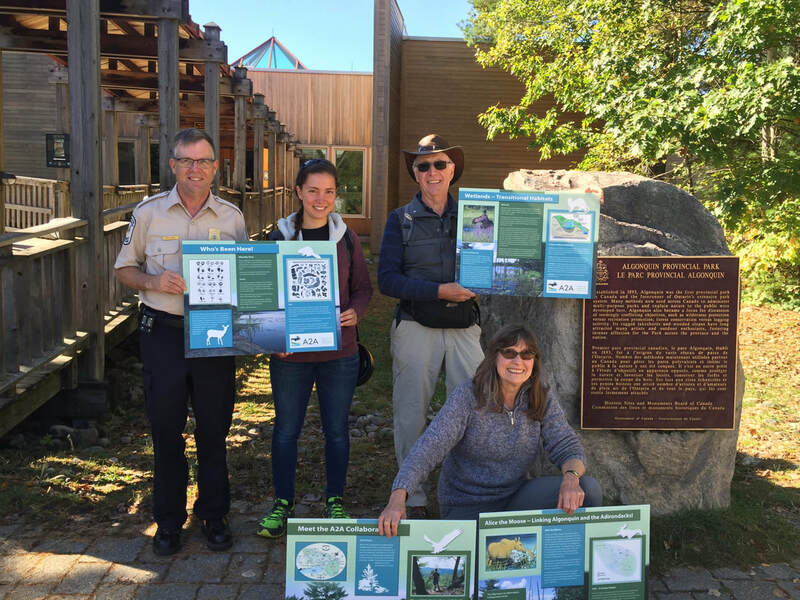 A reconnaissance Trek completed by John Davis on the American portion and John Allport and others will on the Canadian portion between Oct 1 - 15, 2017 concluding in a celebration on Wellesley Island on Oct 15 was a great success and we learned lots about the route and trail - it is an amazing and diverse journey through the A2A. Check out pictures of progress on our facebook page. In 2019, we will be promoting a link to the trail from Kingston with a hike event in spring.